BLEMISHED: Aluminum Black singing bowl includes wooden suede leather beater and cushion. The opening is 8 inches. Singing bowls are played by the friction of rubbing a wooden mallet around the rim of the bowl to produce overtones and a continuous 'singing' sound. They are commonly used for meditation, relaxation, healthcare, personal well-being and religious practice. Inside the singing bowl it has an etched relief design. Your singing bowl is unique and small irregularities in the finish should just be considered birth marks. 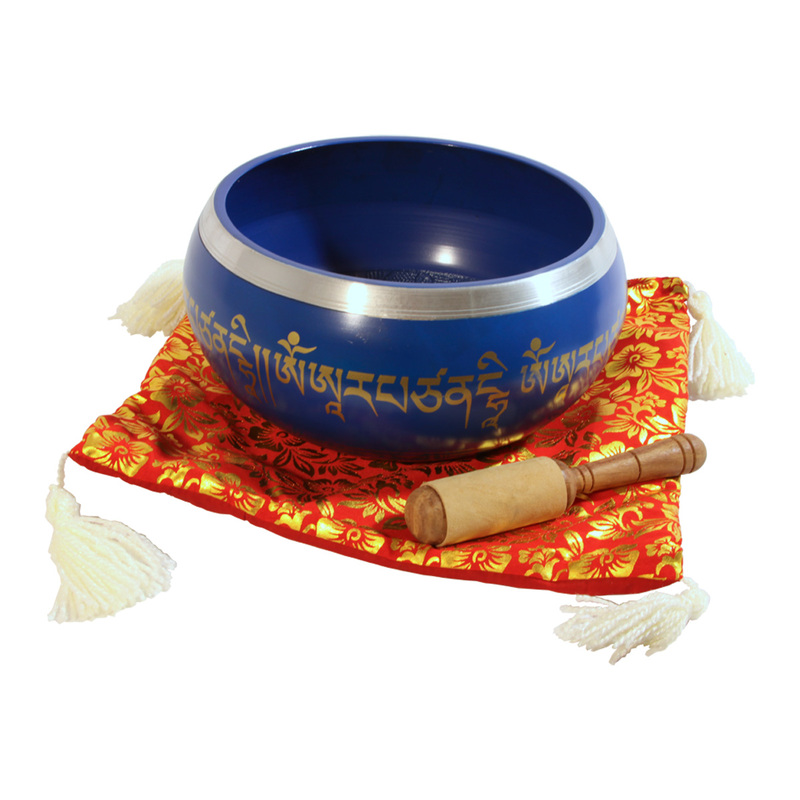 This in no way affects the beautiful sound of your singing bowl. Designs may vary. All BLEMISHED Items are brand new and unused with superficial blemishes that may include: blisters in the finish, scratches, dents, stains, discolorations and manufacturer repairs such as putty in nail holes, or other surface marks. The irregularity does NOT affect the playability or sound quality of the item.